June is undoubtedly my busiest time of the year, especially with the Great Race, which is a 13-day affair this year. 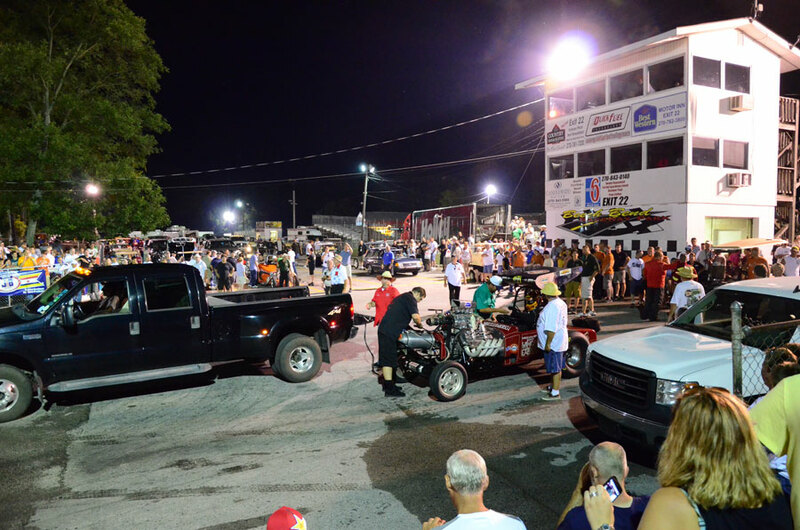 Last year, the Great Race knocked me out of going to my favorite event, the NHRA Hot Rod Reunion in Bowling Green, Kentucky, so I wasn’t exactly pleased by that. 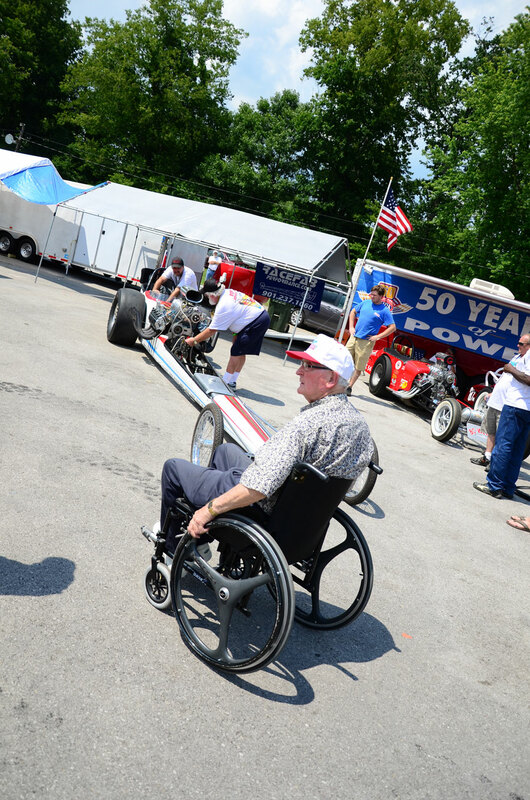 However, the dates changed for the 2012 Great Race, so it opened up Father’s Day weekend and allowed my dad and I to head up to Bowling Green for a few days. Practiced my pan shots from my favorite spot on the spectator side fence. 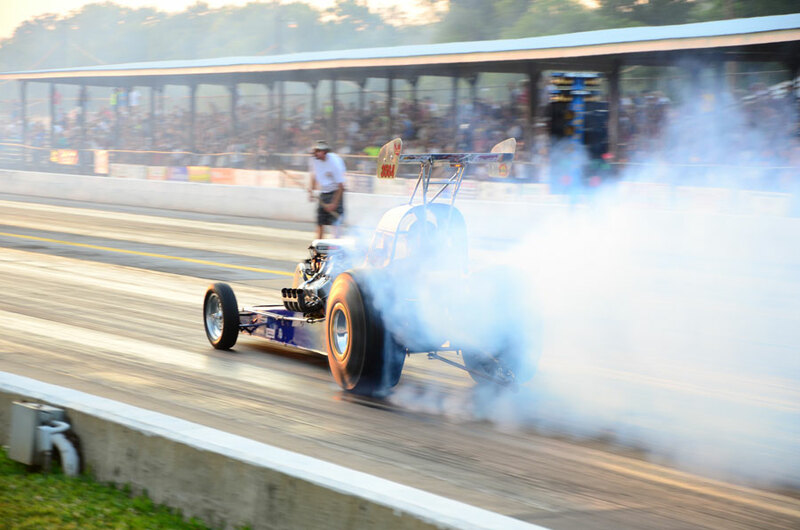 Long burnouts are pretty common so it’s a great place to get cool, rolling burnout photos. One of my favorite cars at the event. 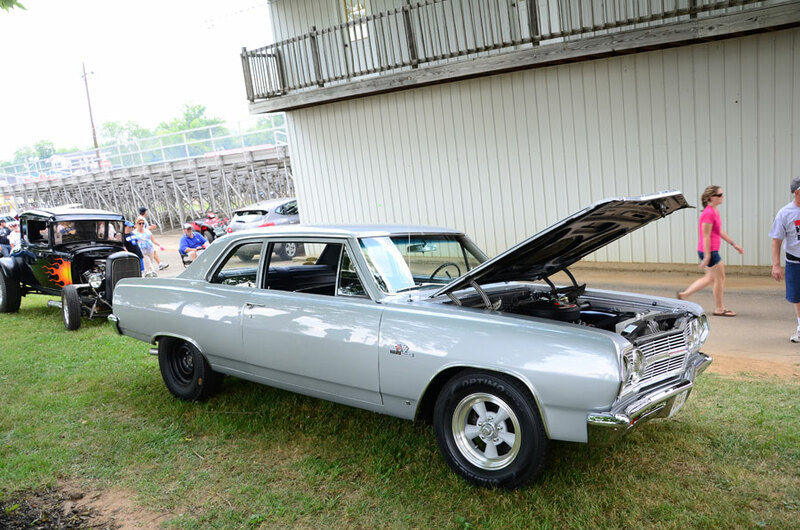 A ’65 Chevelle two-door post with a big block. Pretty simple car but the tire and wheel combo is perfect! We arrived on Friday morning, braving the long line of cars as we inched into Beech Bend. It’s always hot at this event, so we went in partners with a buddy to rent a golf cart for the weekend. While I love the convenience of a golf cart, it definitely doesn’t let me get much work done, so I did most of my work on foot. Since this was a Coker-sanctioned event for me, I shot several cars for use in Coker advertising, and just did a general event coverage of cars that I personally like. Another glorious burnout shot from the a Thames panel that never failed to do a long burnout. 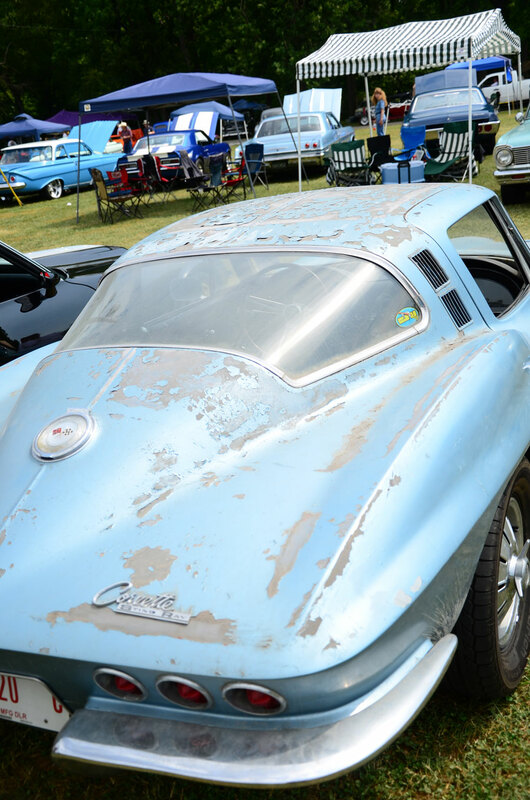 I really liked this ’64 Corvette barn find car. The paint was barely hanging on, and it still had the barn dust on it….very cool piece. 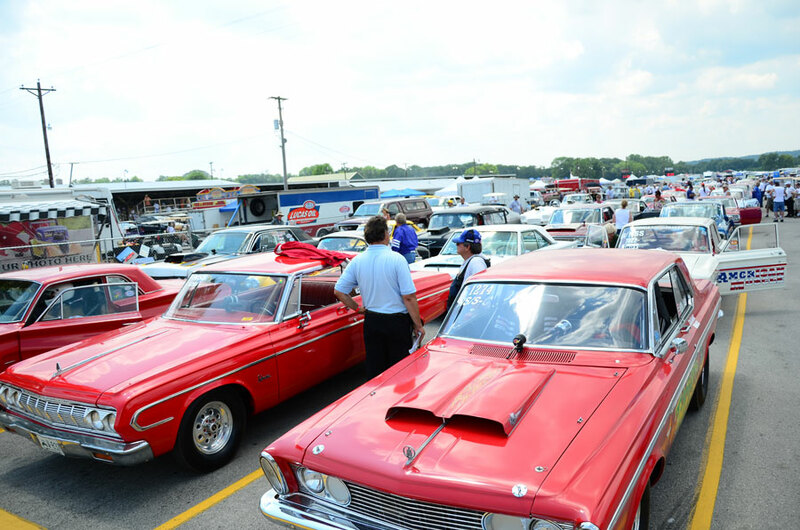 Staging lanes are always packed at the Hot Rod Reunion! This guy is my hero! 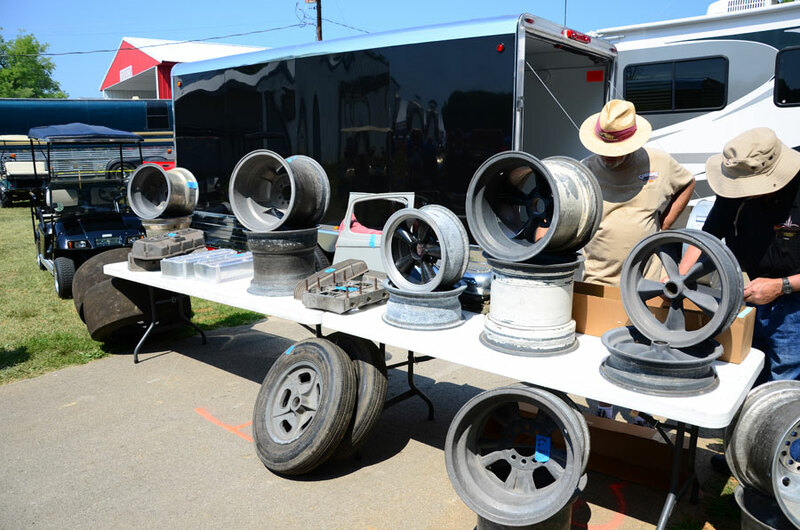 Magnesium wheels of all shapes and sizes! 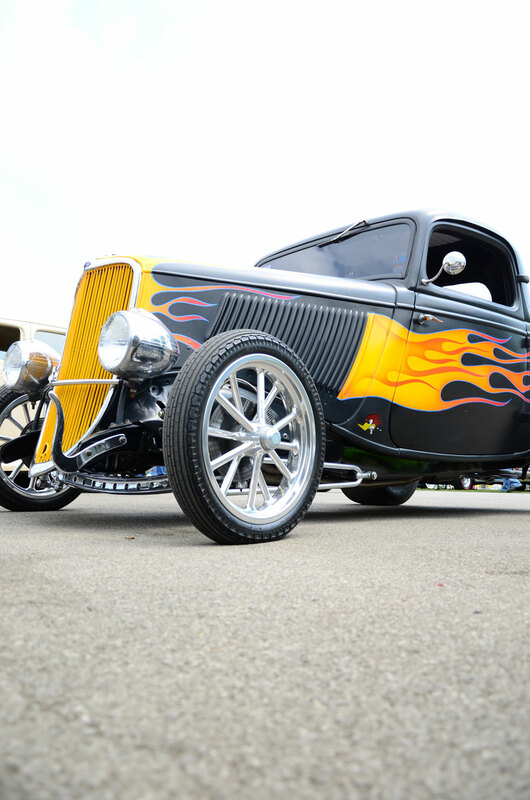 Friday night is now my favorite part of the Hot Rod Reunion. I’ve been going to the event for a few years, but never bothered to visit the host hotel on Friday night. We learned that they have a two-car cacklefest, as well as a huge cruise in at the hotel. 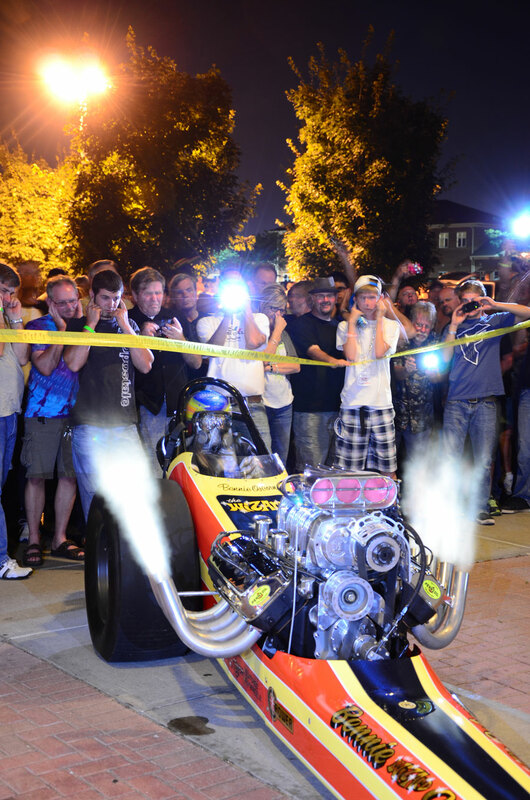 The best part was the crowd that gathered to encourage people to do burnouts. Surprisingly, this went on for about an hour before the law got involved…it was a good time, and I’ll definitely be back to the hotel next year. Not sure what this color is, but I like it. Orange during the day, but turned gold under the street lights. The mini cacklefest at the host hotel was awesome! 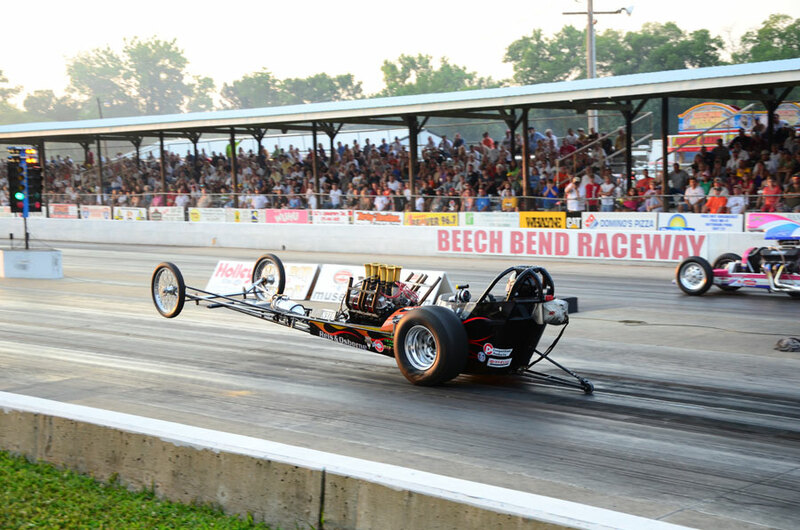 A big crowd turned out to see two nitro cars do their thing. 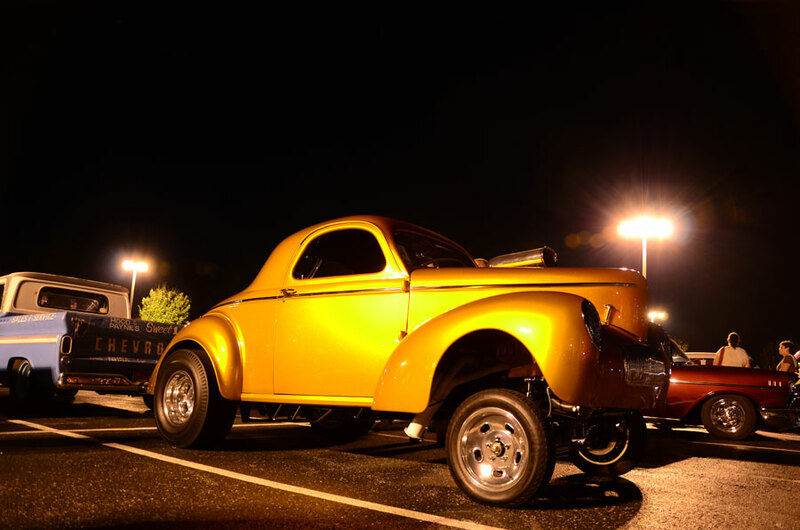 I usually don’t like unchopped T-coupes, but this one is killer with its crazy stance! I guess the only thing I would’ve changed about this year’s event would be the vehicle we drove. I would’ve much rather gone to the ‘Reunion in the Corvette, and you can bet I would do a good burnout leaving the hotel….but there’s always next year. So, with the Great Race upon me, I’m scrambling to get this written before Christina and I head out on a 13-day, 4,000 mile journey. 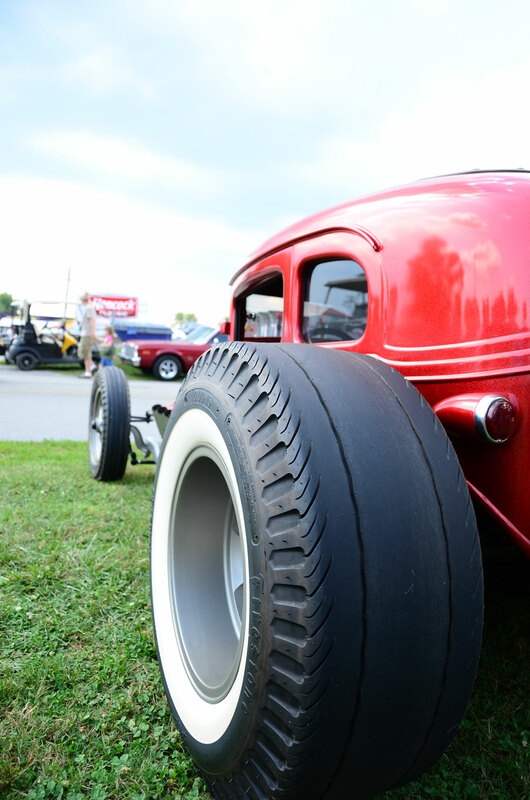 So many awesome cars with cool tire and wheel combos! 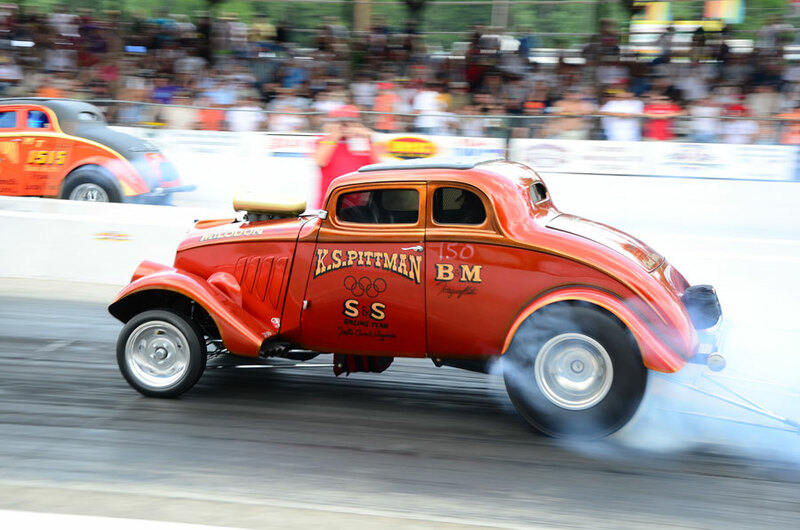 Another long burnout from a fast-moving ’33 Willys gasser. 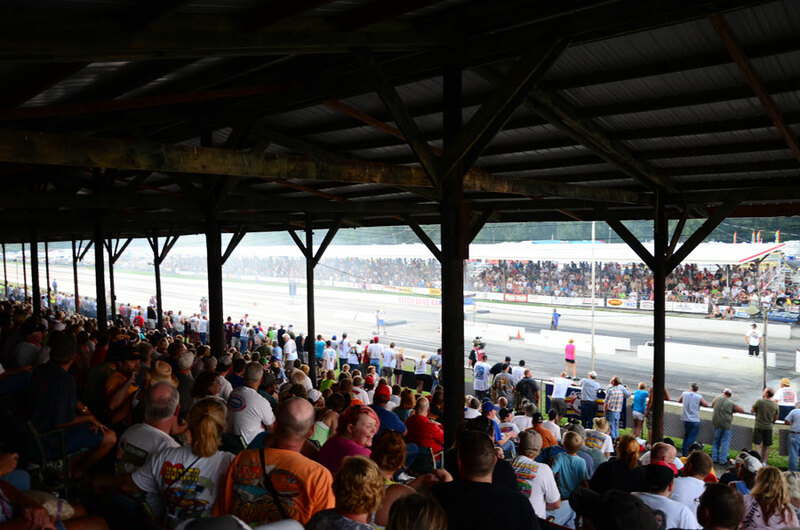 The stands were packed on Friday and Saturday….I really like it when the crowd gets into it! Big cheers were always in order for the racers who did burnouts past the Christmas tree. Like this guy….he got some good cheers! 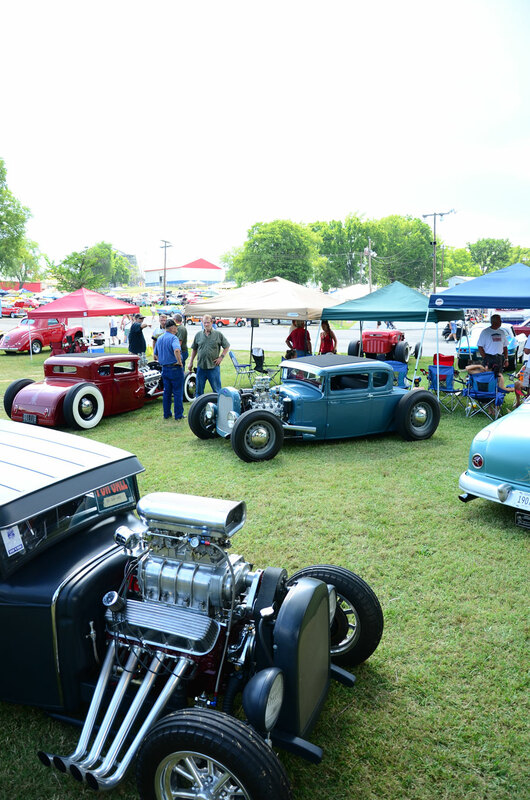 Jason Graham builds very nice hot rods, and had quite a crew at the Hot Rod Reunion! 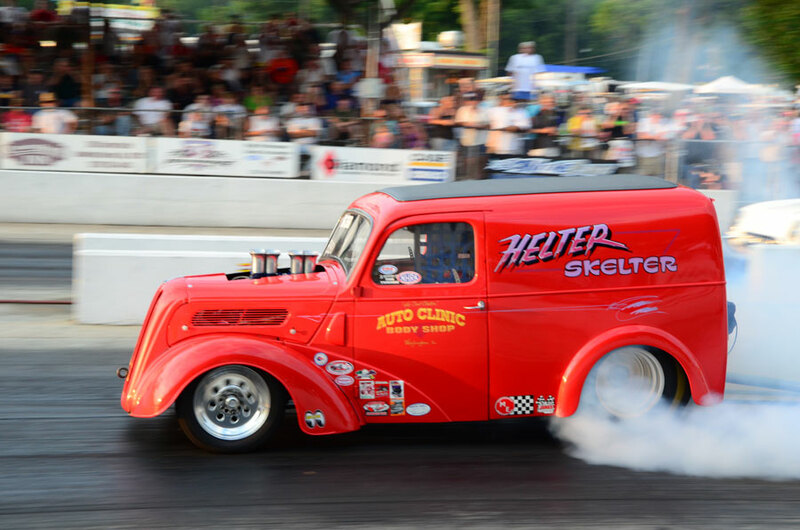 Joey Collins has owned this Bantam for a few years and it’s absolutely crazy. How ’bout them Coker tires??? 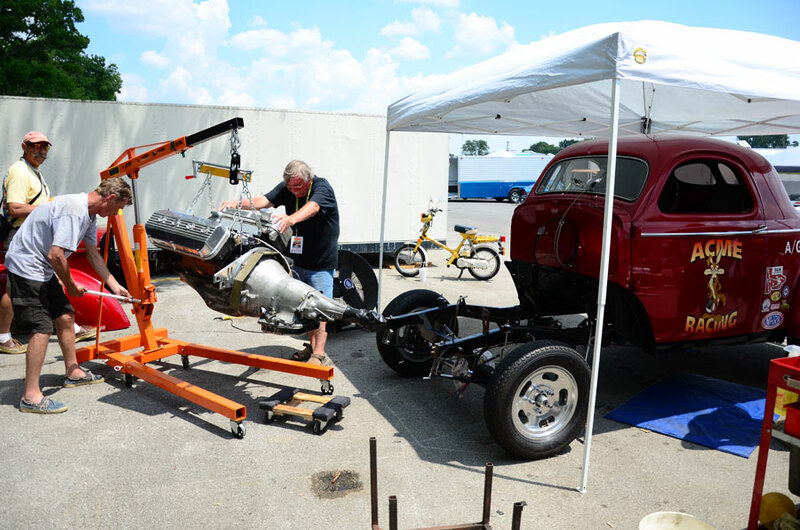 Ray Godman is a legendary drag racer, hot rodder and drag strip owner so it was cool to catch a glimpse of him and his four original drag cars that were on display. I also enjoyed seeing the Lyndwood guys make an appearance in Bowling Green. 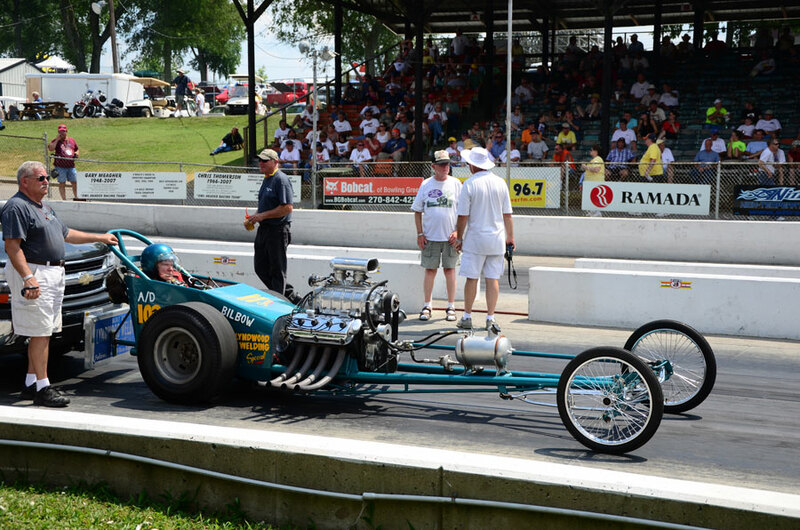 For those that don’t know, my dad and I own one of the only remaining “small tube” Lyndwood dragsters. You know it’s bad when the engine and transmission has to come out. This car was back on the track the next day. 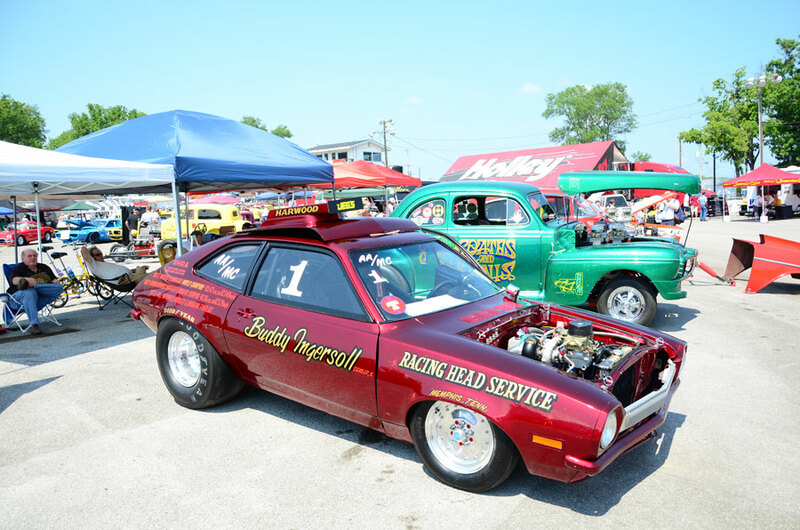 How ’bout a turbo four-cylinder Pinto? Don’t hate me…I think this is cool. The Winged Express getting fired up for a pass on Saturday night. This car scares me, but that’s what makes it cool. 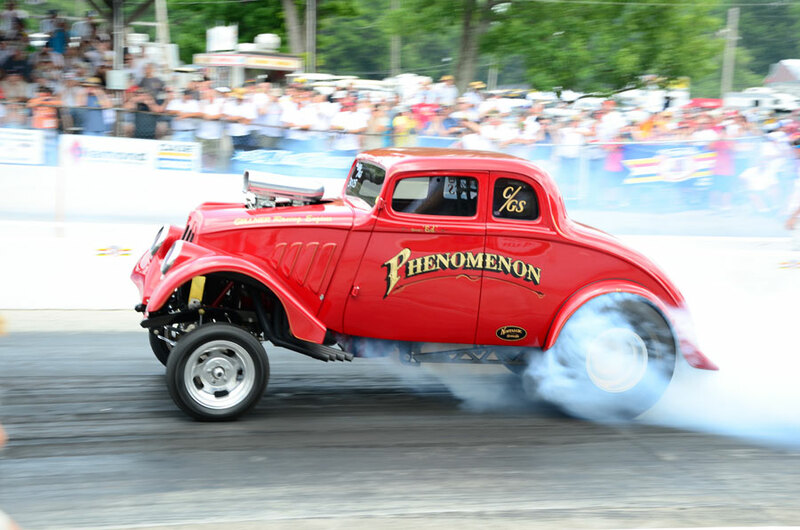 This entry was posted in Events and tagged 2012, beech bend, bowling green, byrd photo, cars, drag car, drag racing, drag strip, fathers day, gasser, historic, hot rod, hot rod reunion, kentucky, nhra, nostalgia, photography, racecar, rat rod, tommy lee byrd by Tommy Lee. Bookmark the permalink. Some of these shots are worth framing and selling! Good job! I want to thank the person who took the picture of the1970 Pinto of the late Buddy Ingersoll which won the 1977 Modified Eliminator World Championship. I am glad to see someone appreciates the hard work and dedication that Buddy put into the sport of drag racing. Although N.H.R.A. did not feel that it deserved any recognition or mentioning at Bowling Green, Kentucky I am sure that a lot of the people that were there would have liked to know that it was on the grounds in “Memory Lane”. It is sad that you spend your whole life racing and do not get respect from the organization that you raced with. Sorry Buddy I restored your car hoping your legacy would live on but it will not happen with the help of N.H.R.A. Just want to say thank you for restoring that car! It’s a cool piece of drag racing history, and I’m glad I got to see it and take a picture of it! 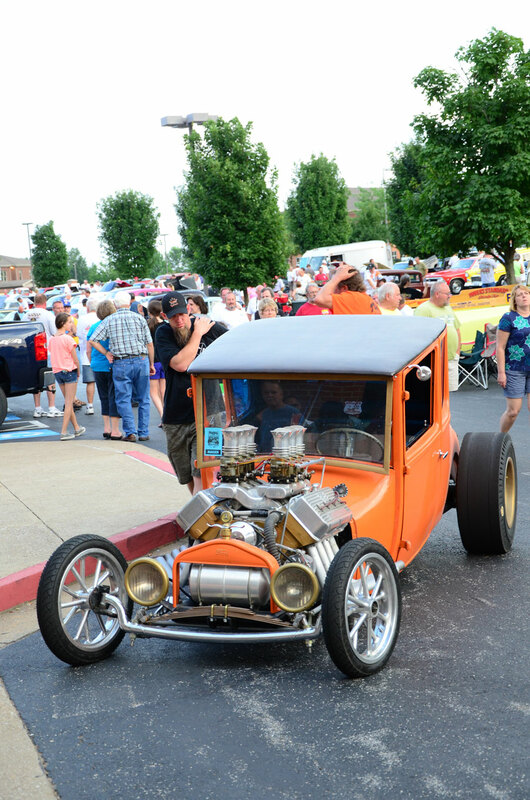 Richard, thank you for putting that car on display in Bowling Green. I love the looks of the car, and the fact that it has a turbo four-cylinder in it made it even more interesting! I have a turbo 2.3 Ford sitting in my shop…wish I could find a good Pinto to put it in!